No question we worry about the “what” and the “how” of our goals, and then that practically paralyzes us from doing anything we try to set our minds to, to the point we just end up doing nothing! Presence Based Training will help you become more aware of your paralyzing thoughts about the “what” and the “how” of your goals, and teach you how to focus on the WHY. We will create a dynamic, practical experience where you will explore your self, understand your fears, and break down the obstacles to your success. Presence Based Training will teach you how to set well-being goals, how to align your priorities and ultimately how to focus on what matters most in your life. What motivates you to train or take part in a health and wellness program? What are your values regarding health and fitness… do you know? What is the true value behind the outcome you really want? Do you know? Look within to achieve something bigger than you thought possible. Come ready to train in a small group, hands on atmosphere, followed by a facilitated and guided group discussion – 60 minutes of exploring your personal journey. Maximum participants: 4- 6 spots. Space is extremely limited. A 25% non-refundable deposit is required upon registration. To the get the most out of the program, attendance is important and you must be open to sharing in a group setting. We provide a safe environment where judgement is left outside. We are here to support one another! To learn more about Lisa please visit the about section of this website. Laura owned and operated her own insurance and financial services business for over 20yrs. She received her Masters of Business Administration (MBA) from Queen’s University. She is a Certified Financial Planner and also studied as a Paralegal. 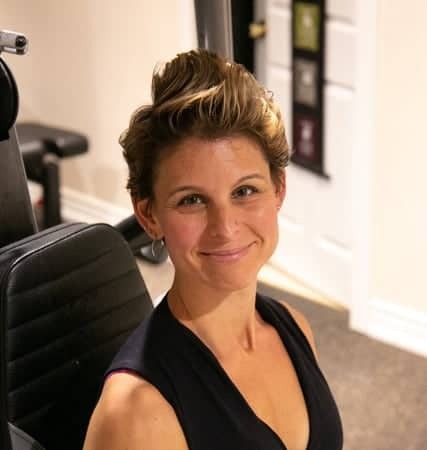 Laura is a Certified Professional Co-Active Coach having received her training through the Coach Training Institute in San Francisco, California. She now operates her own private coaching practice for individuals and organizations. Laura is an empathic and compassionate facilitator. Using a process that addresses specific personal projects and general conditions and transitions in a client’s personal life, relationships and/or profession, she will help you examine what is going on right now, discover what your obstacles or challenges might be, and help you choose a course of action to make your life become what you want it to be.